To be honest, when I was little we always had dogs in the house. 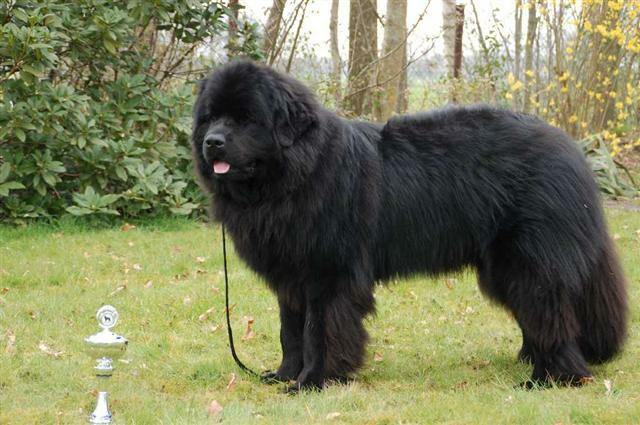 We had big dogs like our Saint-Bernard and our Newfoundlander that looked a bit like this. She was called Lady and was the dog that left the biggest impact on me since I still talk about her a lot. She once saved me from serious injuries. I was playing, sitting on the kitchen floor, when all of a sudden the oven exploded and the door came flying towards me. She shoved me aside and took a nasty blow from the door. After that we always stayed connected. And when she was getting older, and she got sick, I was the only one who could come near here to try and make her feel better. I was 12 years old and a friend from my class invited me on a road trip with his family. We were going to visit the Vosges in France and some place in Germany that I already forgot about. The reason that I still remember we visited the Vosges is because of the impressive thunderstorm we experienced while we were camped there. I’ll never forget the sound of thunder rolling through the mountains. But I’m diverted again. What I meant to explain is that at some point we were going for a swim in a lake somewhere in France when I saw a Newfoundlander jump into the water. I’ve never been able to explain how, but I felt something was wrong with our Lady. I dismissed this feeling of course, how is that possible? No matter how hard I tried, I couldn’t shake the feeling. When I got back from my trip, my parents sat me down at the table before I had a chance to run out on the terrace to say hello to Lady. They told me that they had to put her to sleep because she couldn’t use her rear legs anymore. Lady was no more and it hit me hard. But not as hard as I had expected. I asked my parents when she actually left for the kennel in the sky. It was the same day I saw that Newfoundlander jump into that lake. I’ve always had a strong interest in science, but I think this is one of those things that science will never be able to explain and you know what, I don’t really mind.